I love eating! Eating and cooking come together in my life. Cooking to me is not a chore but a creative process that I enjoy. Cooking and eating involve all five senses. 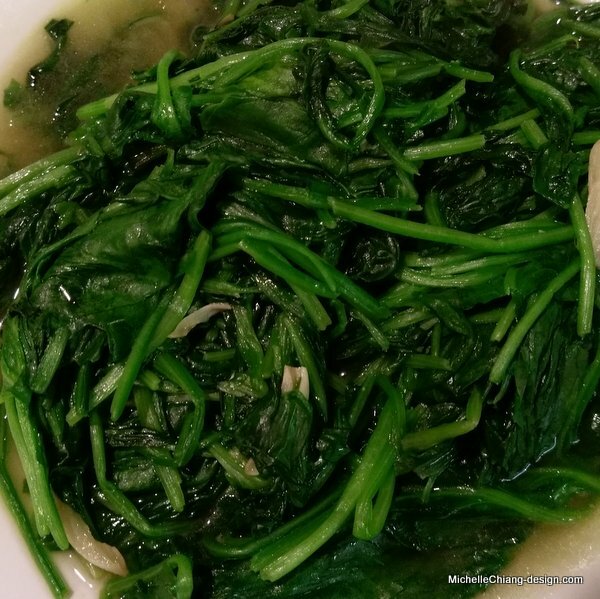 building a connection between the food and my body/mind. Knowing what is in my food and how the ingredients come together to become a dish, my body doesn’t experience ‘anxiety’. eating exactly what I want. I have certain preferences that no restaurant can accommodate. This is important for people with diet restrictions. good for the environment. I do feel guilty when I order take out, fast food, or taking home leftovers. All the packaging that I don’t use when I cook and eat at home. quality time with family and friends. Food brings people together. save money. I enjoy going out for good food with good service but it gets expensive. I invest in good quality cookware so I get better results. Cooking does take time, but it is time well spent. My goals is encouraging people to cook more for and with their loved ones. 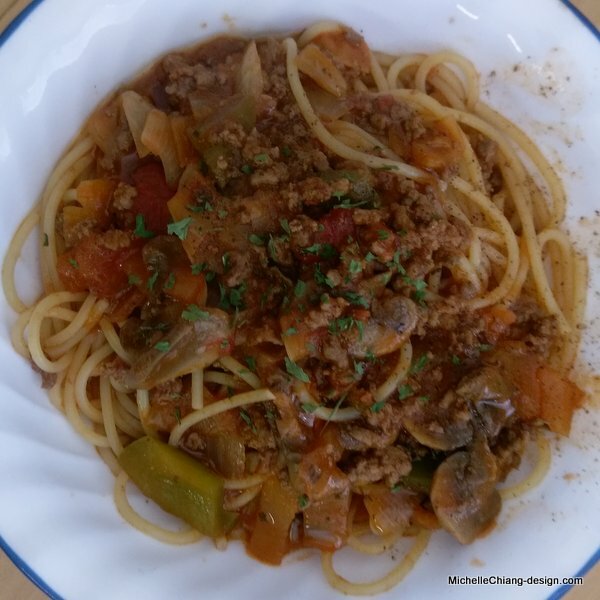 Through sharing recipes, I hope to create an energy of happiness. 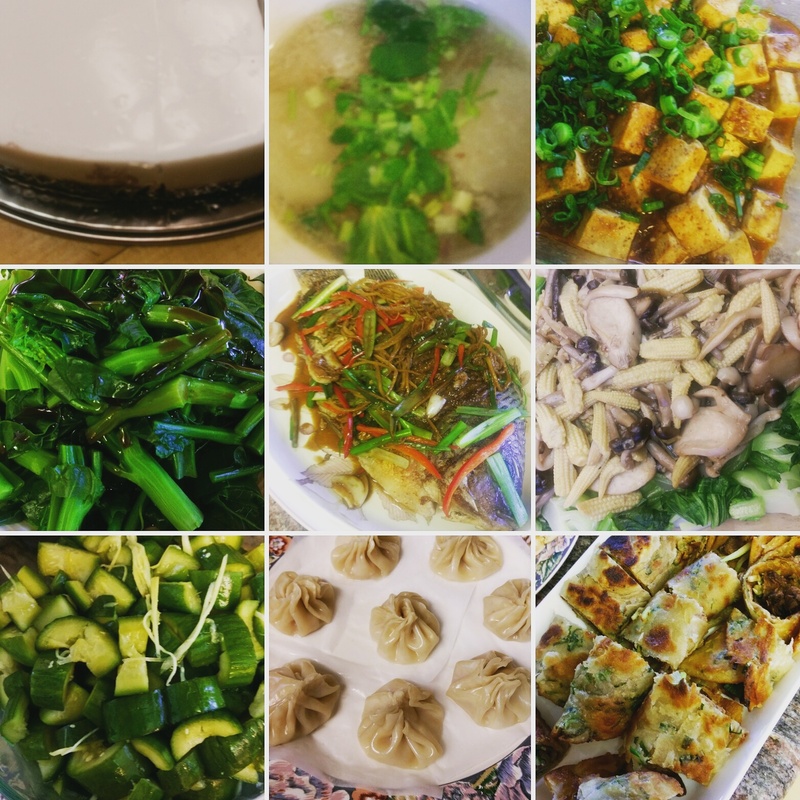 9 dishes I made for Chinese New Year celebration with family. Just for fun, I tracked (most of) what I ate in a week and took photos that I managed to take. The photos are quick snapshots. I did not track much of drinks and snacks. Dinner: Pan-fried tilapia, bean sprout salad, cucumber salad, sauteed spinach, and rice. Snack: Strawberries with caramelized condensed milk. Lunch: Rice with meat sauce, spinach, bean sprout salad, and cucumber salad. Dinner: Vegetable soup, tonkatsu (deep-fried pork cutlet), sauteed zucchini, bean sprout salad, and rice. Lunch: Vegetable soup, pan-fried garlic port chop, and rice. Dinner: Vegetable soup, corned beef, cabbage, and rice. Dinner: Ginger & scallion pork chop, kale w/carrot, cucumber salad, beansprout salad and rice. Snack: A piece of cake, hot yuzu honey drink. Lunch: Instant seafood noodle soup with egg and cabbage. Dinner at Black Angus: bread, appetizer sampler, baked potato soup, and prime rib with onion rings. Breakfast: coffee, a piece of cake, and instant noodles. Lunch: Corned beef, cabbage, and rice. 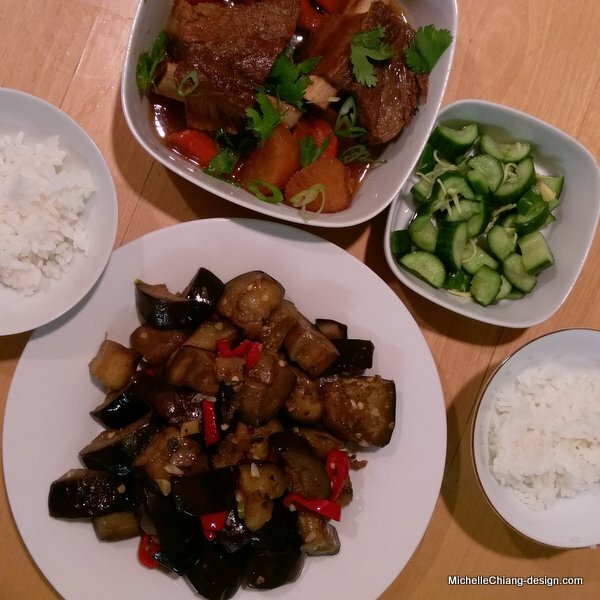 Dinner: Braised beef with daikon & carrots, cucumber salad, pan-fried eggplant, and rice. 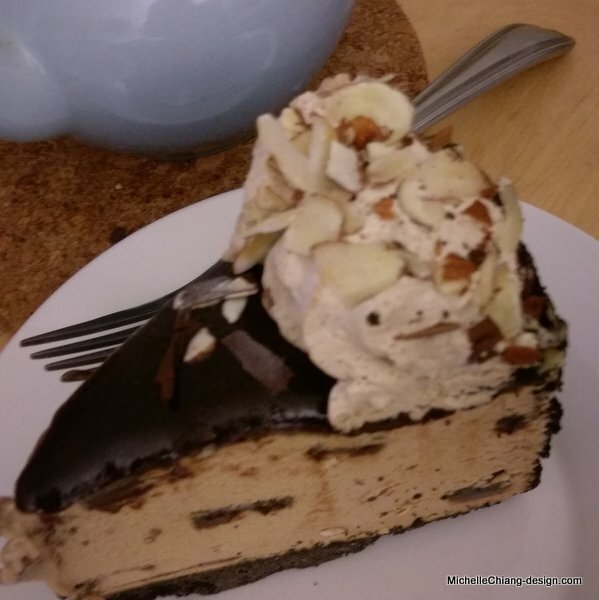 Dessert: Mud pie with Pearl Dew Oolong tea. This was an interesting experiment. Remember to take photos before I eat was harder than I thought. If I do this again, I should take photos of EVERYTHING I put into my mouth. Looking back, so many wonderful things had happened in 2015. – A lovely young lady that I met through work decided to go back to school to study interior design after we chatted a couple of times. This brings me so much joy! I can’t stress enough about the importance of education. Soon, I will gain another brilliant design colleague to collaborate with. – Back in May, a student came to the UltraGlas booth and we started talking. I found out she had years of experience in writing for television and encouraged her to use her skills to gain work opportunities with designers. Weeks later I referred this student to my graphic designer friend Susan Leinen who was looking for a writer to help her interior design clients. When the student and I saw each other again in October, she had developed a unique services catering to the design industry. – I consulted on design of a brand new showroom this year. It will open in 2016. This is probably the most fun project that the client is open to all ideas I had. First time attending Design & Construction Week in Las Vegas. It was convenient to attend multiple trade shows in the same city. Waited in line for one-and-a-half hours to tour the Hollyhock House by Frank Lloyd Wright at its re-opening after extensive renovation. My last visit was near 20 years ago. Volunteered for “Let’s Bake A Difference” charity event along with fellow members of Conejo Association of Professional Interior Designers (CAPID). It was indeed very SWEET! Working two trade shows in one day is no easy task. I am so proud of myself for handling it well! It was an honor to present UltraGlas to local designers. Thankful for the opportunities from Conejo Association of Professional Interior Designers (CAPID) and National Kitchen & Bath Association, Central Coast & Valleys Chapter (NKBACCV). First time going on an out-of-town trip with Eleanor Schrader as our guide/organizer. I learned a great deal and is so grateful that I work in design. Finally had the chance to visit the famous Sheats-Goldstein Residence. Cut off 17″ of hair and donated to Wigs for Kids. This is my 6th donation. I may attempt to do it again! Wonderful connecting with childhood friends from Taipei Christian Children’s Choir. We got on stage and sang at the L.A. concert of one of our former members. Singing on stage with my friends once again was a blessing. Can’t believe it has been over 30 years. 2nd Le Vert thé tasting party was a success! Tea brings people together.